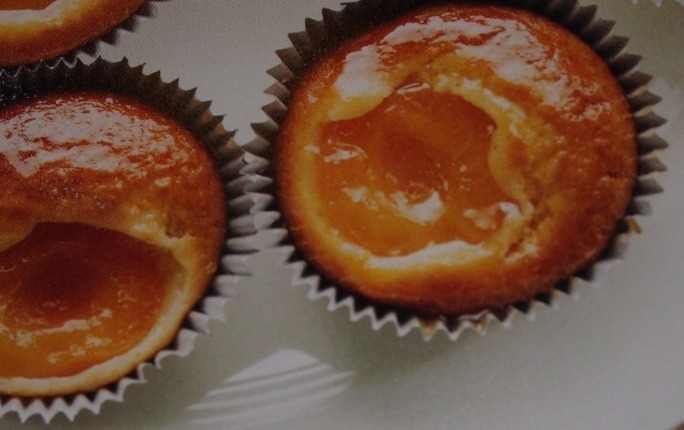 Apricot, Sour Cream and Coconut Cupcakes are soft, sweet and absolutely delicous. When covered with an apricot jam glaze they are quite appealing to the eye too. Just take care to ensure they are fully cooled before storing them in an airtight container to prevent them from collapsing. Whisk egg, apricot nectar aand sour cream in a small bowl. Add butter and egg mixtures to floue mixture. Stir with a wooden spoon until combined. Spoon mixture into muffin cases, placing an apricot half, cut side up, on top of each. Bake for 15-20 minutes or until a skewer comes out clean. Heat jamm in a small saucepan until melted. Brush a little jam over each cupcake.